They don’t need to know it was on sale! Pursue greatness with an Alexander. These Swiss quartz and automatic watches are designed in Brooklyn, engineered in Biel, and tell time on wrists around the globe. An Alexander is a heritage in the making. 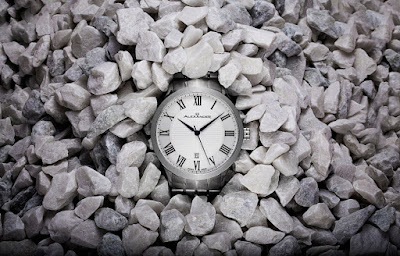 A young brand with multi-generational watchmakers at the helm, Alexander knows its forthcoming power in the watch world. These are watches for men and women who will leave a legacy. Today, polished steel with diamonds is a masterpiece on a new collector’s wrist. A triple-black chronograph is a rotating favorite for an established enthusiast. Tomorrow, either is a treasured heirloom. Crafted for versatile wear and impeccable timekeeping, Alexander relentlessly curates inspiration from pioneers in all fields. The courageous authenticity of New York City inspires watch aesthetics, too. Elegant collabos with famous Golden Age rappers, Olympic athletes, plus fashion and lifestyle icons update exquisite, classical watchmaking, so you’ll always have a reason to wear a fine watch in a modern world. Made for exploration, Vathos for Men dives to 660 feet. Classic sport styling gains significance from luminous arrow hands and trapezoidal hour markers, designed for enhanced visibility under the sea. Regal and substantial, Vassilis for Women charts the phases of the moon from a mother-of-pearl face marked by diamond indices for the hours. Gently arched links lend dimension to a bold, feminine bracelet. Deployant clasp folds with ease. A triumph of stunning simplicity, Niki for Women is an elegant accessory for every day and evening. Diamond indices over Roman numerals, bezel-set diamond lugs, and sword hands demand face time, while the segmented link bracelet pairs with dress or leisure. 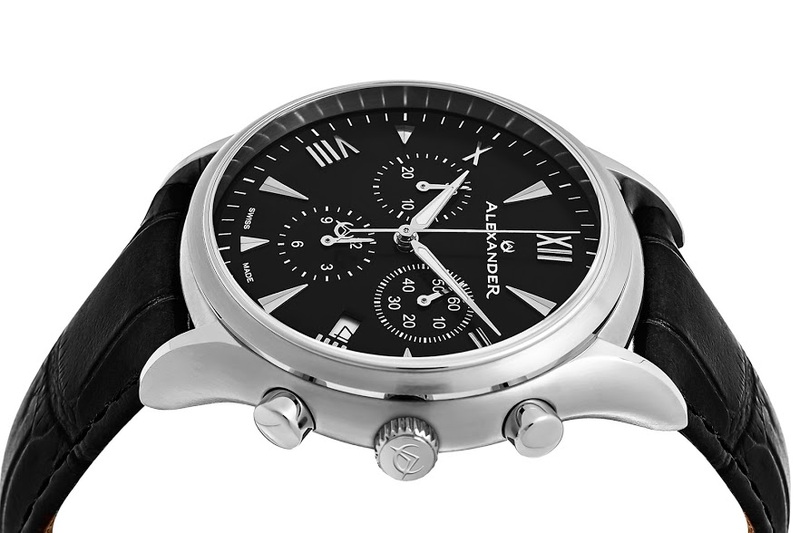 All Alexander watches are 30% off through Christmas. Prices start at $255. Shop https://www.alexanderwatch.com/ or go to Amazon.com. We’ve all been there. Tuesday finally rolls around and you have the margaritas mixed – it’s time for the tortillas. Tired of flipping tortillas at the stove or comal? 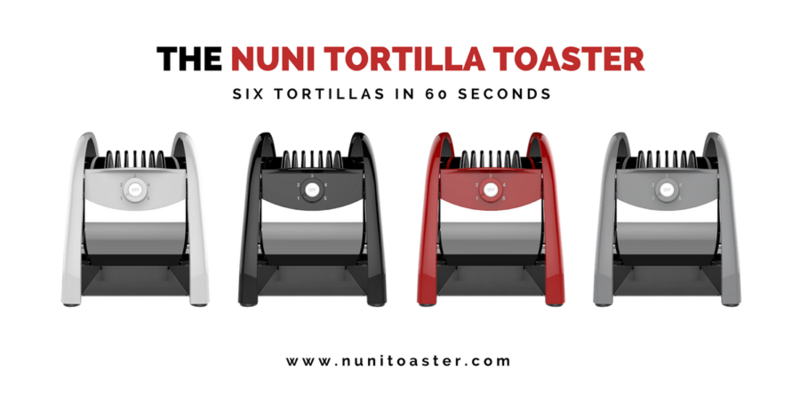 Join the Nuni™ revolution and never flip tortillas again! Be a taco hero with an innovative product that heats up six tortillas at once so hungry mouths don’t have to wait for the one-at-a-time pan method. Say goodbye to soggy tortillas from the microwave and warm up an authentic feast any day of the week with Nuni™! On sale through Christmas for $79 from $99. According to the Tortilla Industry Association, tortillas have been outselling white bread since 2010 and this market continues to expand exponentially. Necessity is the mother of invention and Nuni™ is the market innovator for tortilla warming! It is almost 2018 and cars can actually drive themselves so we definitely do not need to be heating tortillas one at a time the old-fashioned way! Catching up with his mother over a home cooked meal, founder Elliot Benitez noticed a trend occurring at the dining table. His mother was repeatedly leaving the table and missing conversation in order to keep up with their demand for hot tortillas during family meals. Realizing that this was how his mother had been warming tortillas at home since he was a young boy, Benitez set out to invent a product that would make taco night even easier – Nuni™! • 6-Slot Capacity: Place 1 to 6 of your favorite corn, flour or even wheat tortillas into the unit. Choose desired shade setting from light to dark. • Lift Handle To Start: Automatic shut-off deactivates the unit after each toasting cycle. • Rotate To Release: Once the toasting cycle is complete simply rotate the tortillas from the unit. 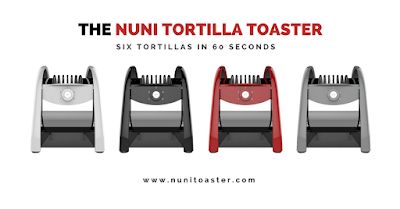 A perfect gift for the holidays, make it easy to enjoy delicious, hot tortillas at home with Nuni!™ Learn more about Nuni™ online at https://www.nunitoaster.com/.